The digital transformation is among the three most important issues according to a recent report *. Digital transformation is at the top of many corporations agenda. Cloud solution providers argue that CLOUD is the most important thing that has happened. Well, of course, it's important that companies digitize data and move it to the cloud so it's easily accessible. 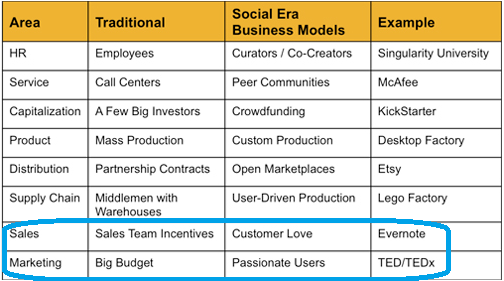 Entering the SOCIAL ERA** is the most important insight. Many underestimate how difficult and different it actually is to "be social and build relationships" digitally. Especially considering that most market departments are used to telling customers what to buy for products. The sales department sellers also have habits. Many are recruited to "be hungry and pushy". What is a total crash against what the intelligent digital buyer wants to meet on his/her buying journey on his/her terms to find his/her solution. ..
We comply with GDPR. Your personal details are safe with us. As you can see, in the two bottom lines of the matrix, there is a big difference in mindset and how to meet the customer. Once you understand it, it is easy to realize that there is a big change of mindset, way of working and the creation of new good habits. Buyers do most of the work themselves by searching, reading, evaluating, checking references and recommendations in the network. Sellers save time. Through relevant content, buyers find bits of the puzzle to the solution of their problem. Marketers can learn and understand which puzzles work. The sellers contribute with value (not features) and do not have to argue and handle objections. Those who first influence the buyers in social media usually get the deal. I.e. in 74% of the cases, according to a survey. 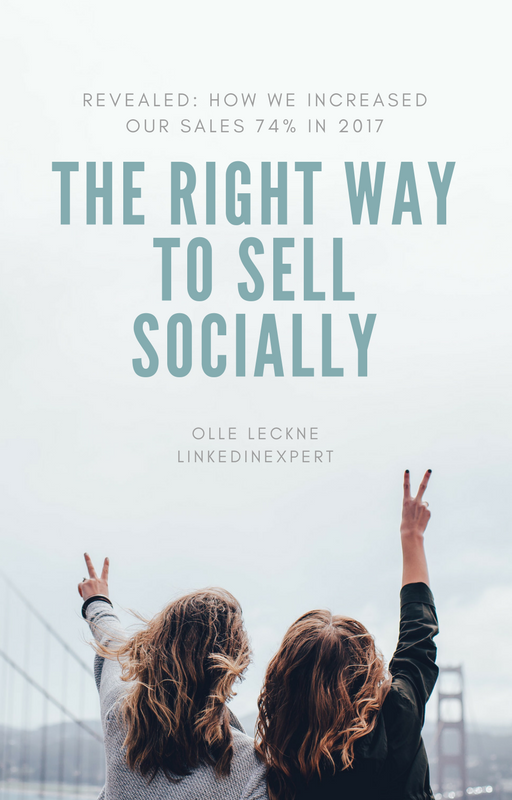 There are five easy steps to get started with Social selling.